I have worked with a fashion writer who skipped meals in the early days of her career to save up money to buy her first Louis Vuitton bag. And she did it by the time she was 23 years old. Indeed, that is the pull of luxury. For those who have the money, wait for the next offering from the brand of their choice and those who can’t, continue to aspire to own a piece from their favourite brand someday. However, there isn’t much written about luxury brands and luxury buying in India. 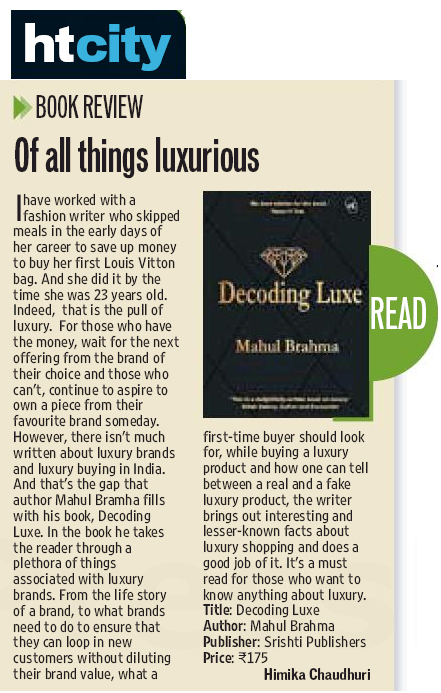 And that’s the gap that author Mahul Brahma fills with his book, Decoding Luxe. In the book he takes the reader through a plethora of things associated with luxury brands. From the life story of a brand, to what brands need to do to ensure that they can loop in new customers without diluting their brand value, what a first-time buyer should look for, while buying a luxury product and how one can tell between a real and a fake luxury product, the writer brings out interesting and lesser-known facts about luxury shopping and does a good job of it. 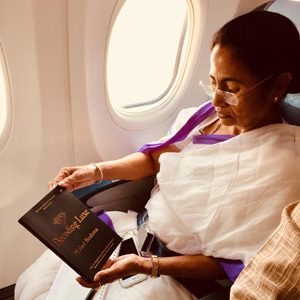 It’s a must read for those who want to know anything about luxury.